A love experiment all right: it’s called ‘grinding to jazz’… | Pulp and Circumstance, Juiced. Warehouses, cops, ambient electronic hip hop jazz dance fusion and a certain experiment in love certainly bode the trappings of a good time. Throw in a bunch of eager college somethings, grinding to jazz (eek! experiment indeed!) and welp, you’ve got a review from oft contributor, Sara Harari. This weekend I was lucky enough to catch Love Experiment’s first show. It was well worth the trek to Allston, despite the fact that it was held in a warehouse and that the cops briefly broke up the concert for a noise complaint. The band consists of New England Conservatory, Berklee, and Harvard students, who describe their sounds as “a mix of ambient hip hop music, neo-soul, 90’s style r&b, jazz and dance music.” Only playing together for about a month, their following is impressive–the L.E. already had a crowd yelling and clamoring for more. Most of their music is original–written by drummer Charles Buchell–but everyone has a hand in designing the setlist. All twelve musicians combine for a unique sound; the group is essentially a “mini-orchestra,” as Charles described it: two vocalists, two keyboardists, a synth lead/pads player, four horn players, bass, guitar, and drums. “We try to keep it catchy though,” he added. And keep it catchy they do–the crowd was definitely moving, although grinding to jazz is something I hope to never see again. 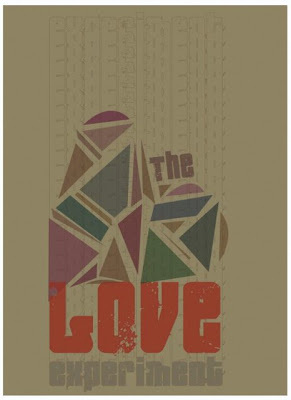 You can catch the Love Experiment next Saturday night, March 6th, at Harvard’s Queen’s Head Pub (45 Quincy Street, Cambridge) or check out their free downloads. This entry was posted in Uncategorized and tagged live review, sara harari, the love experiment. Bookmark the permalink. ← Massive teardrops. Of joy.